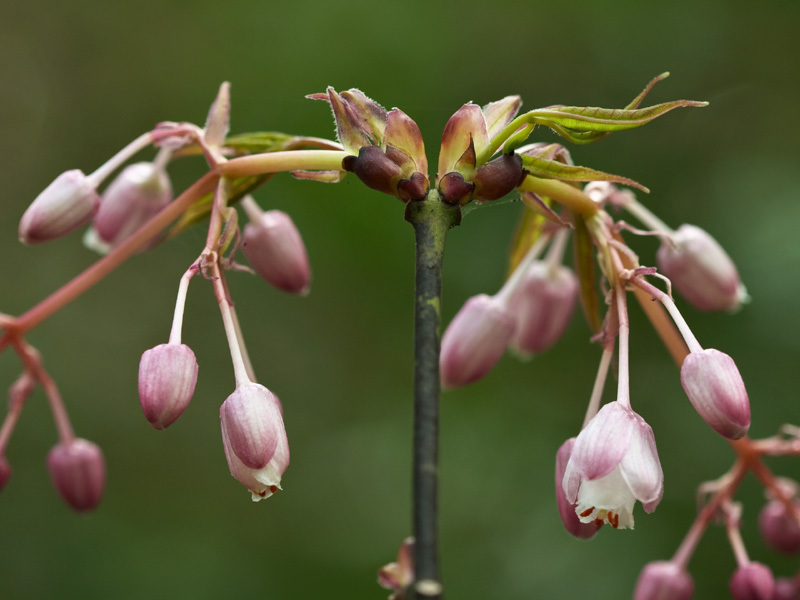 Pink Chinese bladdernut is poorly known in cultivation – in fact, one of the few places in the world you can see it outside of China is at UBC Botanical Garden. 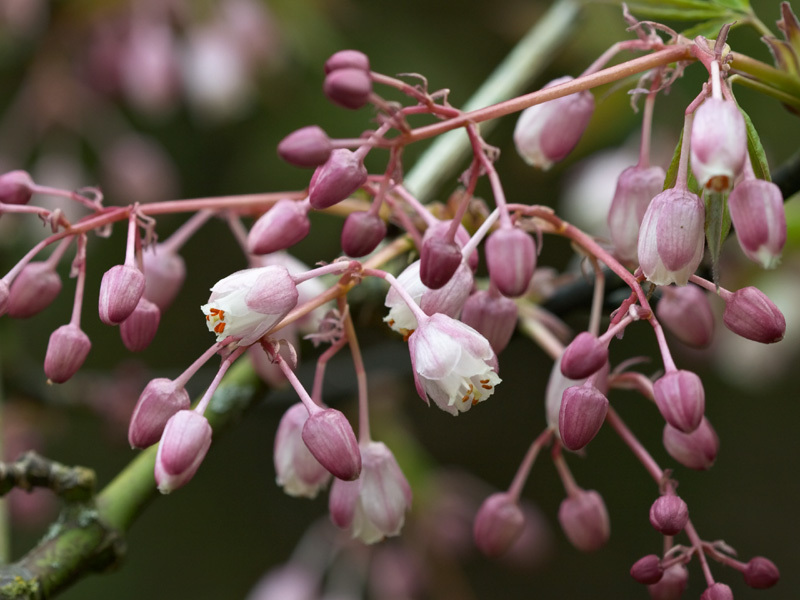 I don’t yet have an image of its fruit (the reason for its common name), but the Kemper Center for Home Gardening has a number of images of the fruit of an eastern North America relative, Staphylea trifolia – have a look to see why these plants are called the bladdernuts. In 2006 when this was posted, Daniel mentioned not having an image of the fruit. I included a photo just good enough to give the idea of what it looks like in my September 7, 2012 – Berries and Fruits posting on the UBCBG Talk about the UBC Botanical Garden thread.